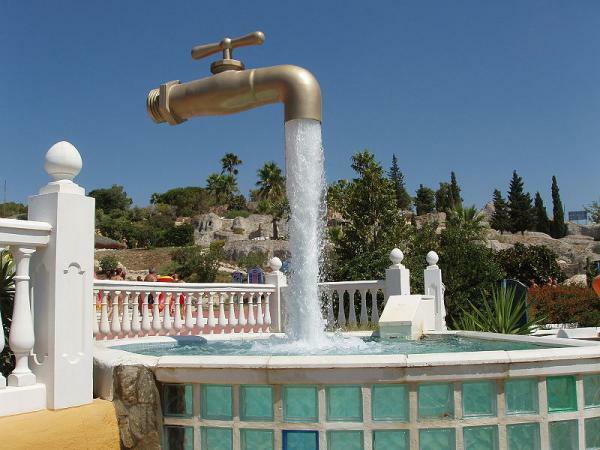 Here is an unusual spectacle that can be found at a water park called Aqualand in Puerto de Santa Maria, Spain. Visitors to the park are treated to a view of this faucet that appears to be floating in mid air above a pool in to which the water is flowing. The secret to this illusion lies in a pipe that is expertly concealed within the flow of water and which both holds the faucet in the air and supplies the water pouring from it. thats so cool - have you seen the lego one? i wonder were it is? one came to my school it was awsome. Rocket tap! It's a rocket tap that floats with water! Very creative and original, the support have to be a transparent pipe or something with mirror to reflect the water when is falling. I want something like that in my garden he he.